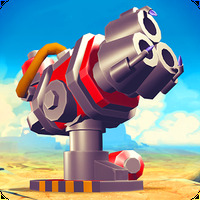 Might and Glory: Kingdom War Android - Free Download Might and Glory: Kingdom War App - My.com B.V.
"Online strategy game from the world of classic fantasy "
Game Goal: Get ready for an intense virtual battlefield, which allows you to fight alongside epic heroes. How to Play: Might and Glory is a typical strategy game with tower defense elements. You must build a castle and protect it while dealing with the enemy troops trying to advance in the territory. The selection of skills and powers is done through cards. Graphics: Animations could be more whimsical, but it does not hurt the gameplay as the graphics are colorful, well-detailed and of high-definition. Game play: Interesting and fluid. Developer: My.com B.V.	- Google-Play-trusted developer. Installation requirements: A minimum of 64M of free memory space and Android 2.2 or higher. Ranking: The TOP 5 Most downloaded games in War Games category. The gameplay is smooth and natural. The onscreen controls are well-positioned. Good graphics and sound quality. Some updates can cause the game to malfunction. Do you like Might and Glory: Kingdom War? Best Games of August like Hazy Race and Game of Thrones Conquest! 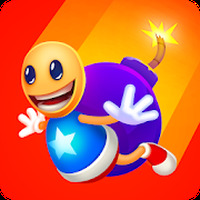 Get ready to rumble in this wild action game!